Diets get a bad reputation, particularly those that include calorie counting. But the Zone Diet is teaching people that calorie counting is merely a way to better control portions. A standard for healthy eating habits, portions are often overlooked ‒ yet remain one of the most effective methods for weight loss. Learn how this popular diet works, as well as the benefits and potential results, with our Zone Diet 101. First published in 1995, the Zone Diet was created 30 years ago by biochemist Dr. Barry Sears. 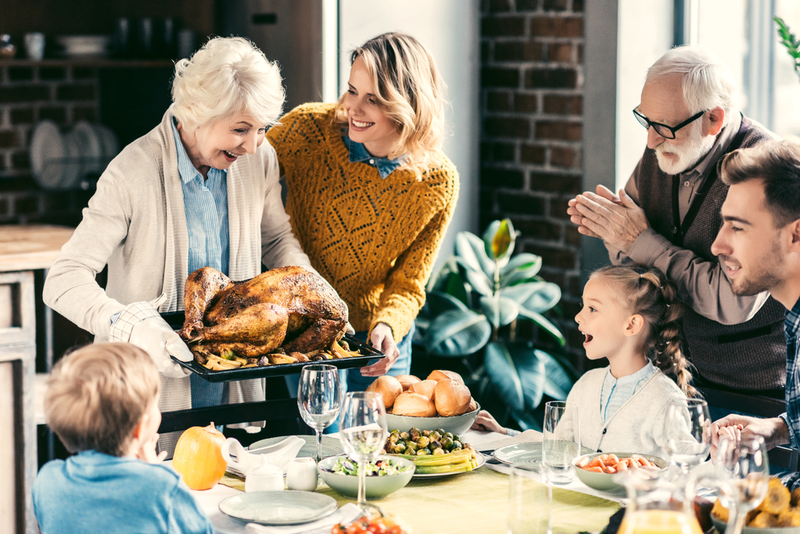 Originally developed to prevent early death from heart attacks, it is said to balance hormones and reduce inflammation – which Sears proposes are a factor in weight gain, illness and aging. By keeping your hormones balanced, or “in the zone,” your metabolism will work more efficiently. Dieters are said to lose between 1 to 1.5 pounds of fat a week. To achieve these results, followers eat a ratio of 40% carbohydrates, 30% protein and 30% fat. One-third of your plate should consist of lean protein, close to the size and thickness of your palm. Two-thirds of your plate will be carbs, preferably with a low glycemic index ‒ to maintain healthy blood sugar levels. A small portion of monounsaturated fats. The hand-eye method is a simplified version that does not require calorie-counting. By using your palm size and eyes, you can estimate a correct portion size. Your five fingers are a reminder to eat five times a day, and to never go without eating for more than five hours. For example, each meal may consist of the recommended carbs and protein, with a snack of healthy fats in between. The number of zone blocks you consume in a day varies by your weight, height, waist and hip measurements. On average, an adult male will consume 14 Zone blocks a day, while a woman will consume 11. As an example, a typical meal will likely consist of three to five Zone blocks, but a snack will only be one. Lean Protein – Skinless chicken or turkey, fish or shellfish, beef, pork, lamb, egg whites, tofu or soy, cheese, milk or yogurt. 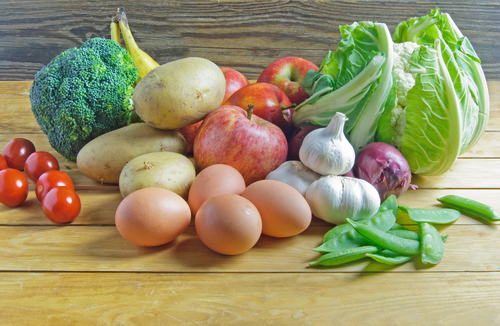 Carbohydrates – Mainly vegetables, some grains and a little fruit – such as peppers, spinach, tomatoes, mushrooms, squash, oatmeal, quinoa, couscous, cranberries, guavas, citrus and more. Fat – Nuts, chia seeds, or natural peanut butter, avocados, oils and tahini. High-sugar fruits and vegetables – This group can include bananas, pineapple, raisins, cranberries, peas, potatoes and corn. Processed foods – From soda, to cereal and bread – this group includes items that are processed, refined or contain added sugars. Other items include pasta, bagels, muffins, cookies, cakes and candy. Coffee and tea – Acceptable from time-to-time; however, a minimum of eight eight-ounce glasses of water should be consumed daily. 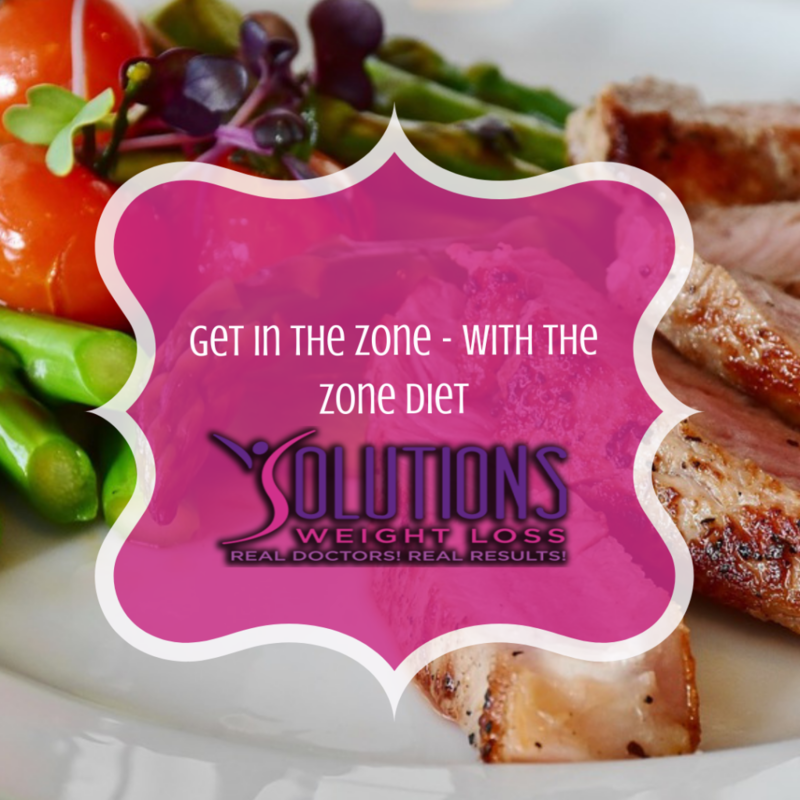 The Zone Diet is lax, with its own share of pros and cons. It is a long-term diet meant to improve your overall health, rather than stop once a goal is met. For this reason, it is important that you choose a method you are able to maintain. While calories do count, you are not required to count them, unless you choose to do so. When dining out, Zone-friendly plates are easily found. However, you will likely have to plan to take some home. If you prefer eating in, an abundance of recipes and meal plans are available online. And most importantly, you will never go hungry or find yourself bored. Despite being portioned, these meals will keep you full and allow for delicious dining. At Solutions Weight Loss, we encourage all of our patients to seek a lifestyle change, rather than a temporary diet. Not only will you see long-lasting results, but you will feel them! Dr. Newsome, and our team, can help you achieve your weight loss goals and maintain a healthier life. Everyone is different and deserves personalized recommendations and individualized attention. Contact us today! Every diet plan – including the Mediterranean diet, the DASH diet and the ketogenic diet – work on the principle of modifying the portion of certain foods or food groups consumed on a daily basis, as well as eliminating certain types of food entirely. Now, the Whole30 diet program is sweeping the nation as not just a weight loss program (it pointedly does not use the word “diet”), but a supportive community of devotees dedicated to achieving and maintaining a truly transformative quality of life experience. 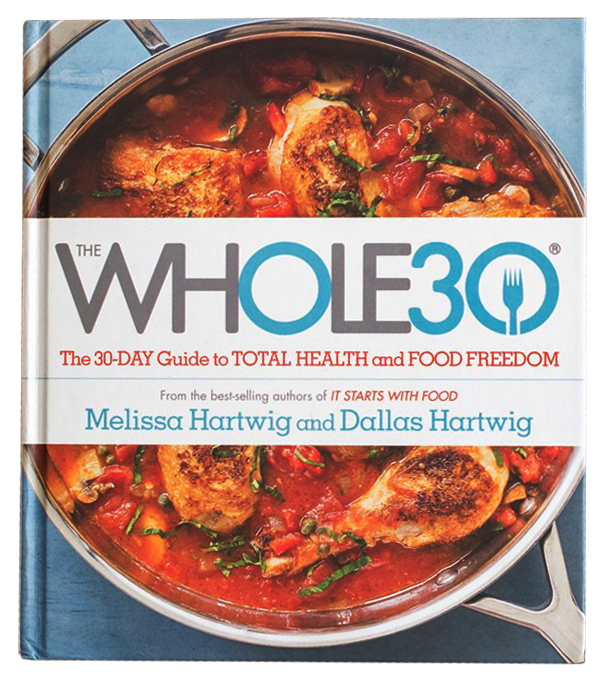 While that sounds like a pretty tall order, Whole30 achieves all of this and more by explicitly targeting the individual’s emotional and habitual relationship with food. The program revolves around breaking unhealthy behavioral patterns, putting a full-stop to stress-related comfort eating, and reducing carbohydrate and sugar cravings. Many people on the Whole30 program report having achieved food freedom within the 30-day period. The purpose is to understand how your body responds to some foods. You eliminate these foods completely and then gradually reinstate them after 30 days. If you think these foods still work well for you, fine, and in case you find something that helps your body feel good, that’s even better! Whole30 doesn’t ask you to leave your favorite foods forever. You are only asked to abstain from eating some foods and beverages for 30 days, and then slowly reinstate them. As mentioned earlier, the aim is to understand how your body responds to some foods. Vegetables – Eat as many as you want. Fruits –Allowed in moderation, due to limits on sugar intake. Seafood – Allowed, including shellfish. Unprocessed meats – Make sure they don’t contain added sugar or preservatives. Nuts and seeds – Allowed, except for peanuts (which is a legume, rather than a tree nut). Coffee – Allowed, but only without milk products or sugar. Oils and ghee – Olive and coconut oil are allowed, as well as ghee (clarified butter). 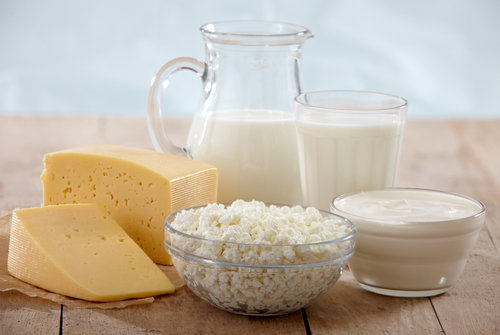 Dairy products – Includes cheese, butter (except for ghee), yogurt, cow’s milk, kefir and cream (sour or otherwise). Legumes – No members of this family, including soy (soy sauce, tofu, edamame or miso), peas, chickpeas, peanuts and lentils. Grains – Includes wheat, corn, quinoa, sprouted grains, millet, rye, bulgur, buckwheat, amaranth and sorghum. Alcohol – Abstain completely during the 30-day period, including using alcohol for cooking. Vanilla extract is also on the forbidden list. Added sugar in all forms – including artificial sweetener – This includes sugar in natural forms, such as maple or agave syrup. Check the label when shopping, as many items include some type or amount of sugar. Junk food – Almost needless to say. No baked goods, snack foods, ice cream, etc. MSG, sulfites and carrageenan – Common additives in processed foods. Carrageenan is a common additive in natural foods, and has been implicated in digestive system conditions. As mentioned earlier, Whole30 provides plenty of support and encouragement for those following the program. The Whole30 Forum is designed to help navigate the Whole30 program, ask questions and seek advice from the program’s experts. Those who have been through the program can share their success stories and provide motivation for others. From features, updates and news from the Whole30 team to rules, regulations, recipes and books, you have everything on the Whole30 Forum that you wish to know and ask. 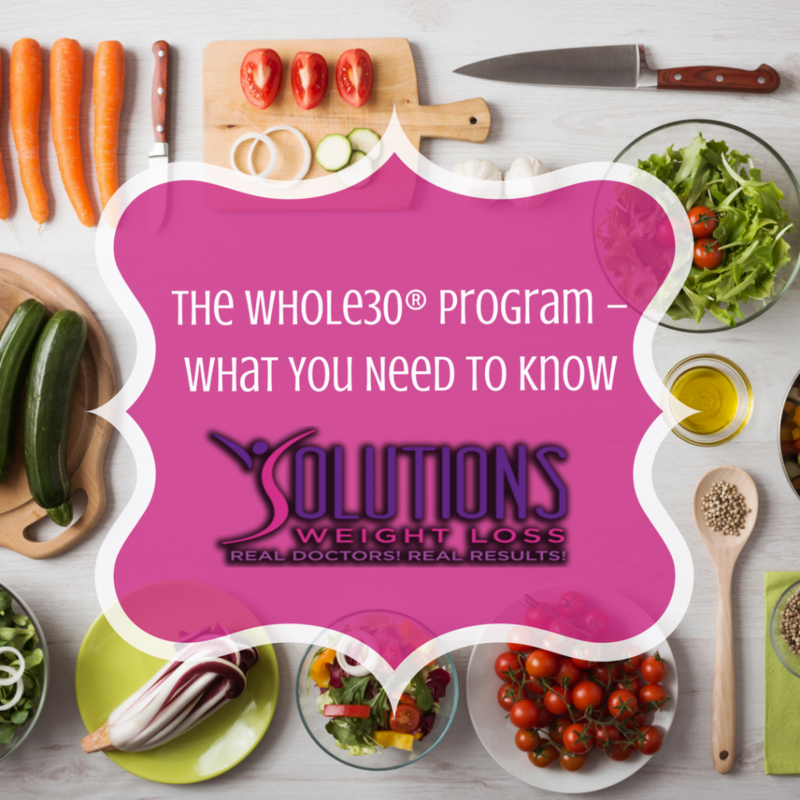 There is something for everyone on the Forum – how to follow Whole30 with a medical condition, Whole30 for athletes and Whole30 while pregnant or breastfeeding. Interacting with others sharing the Whole30 experience creates a community feeling, which greatly helps boost motivation. The Whole30 Community is like a close-knit family where you can get answers to questions, as well as track your meals, progress and results – and even share your recipes and success stories. If the Whole30 program has had a positive effect on your life, you can become a certified Whole30 coach and help others by offering your resources and services to your local community. 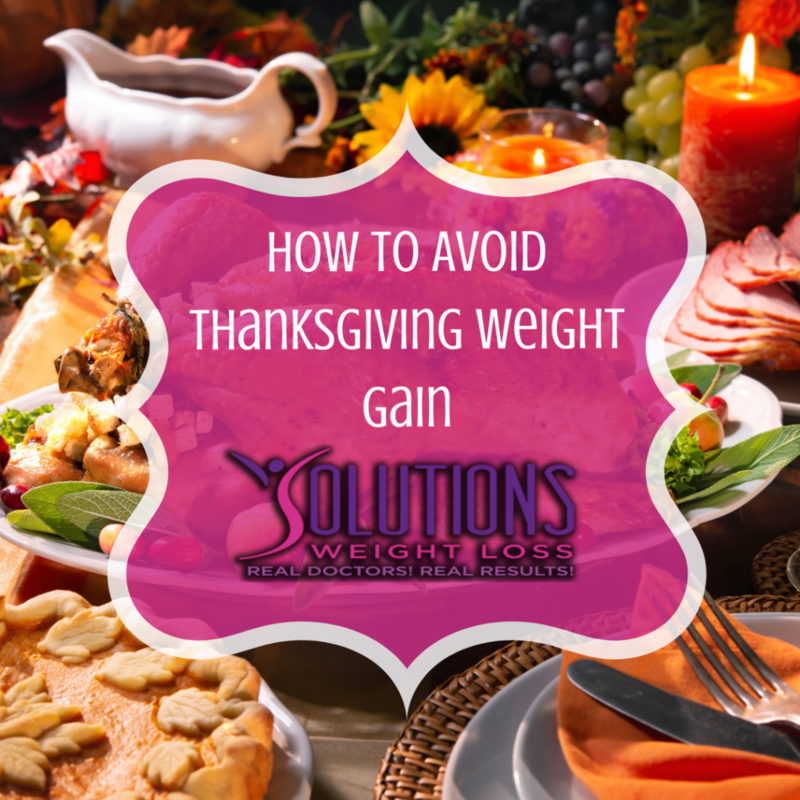 We at Solutions Weight Loss encourage everyone to follow a healthy lifestyle by whatever means achieves the best result for each individual. If you’ve tried other programs and diets but feel that a medically supervised weight loss program may be what you need to achieve long-term results, contact us to schedule an appointment with Dr. William E. Newsome and learn about your options.